Kyrie Irving joined an elite class of basketball players when his number was called for a signature line. Kobe Bryant, Kevin Durant, and LeBron James welcomed its fourth member of the signature basketball lines under Nike. With his handles, shooting, and ability to finesse around defenders, Irving created a fan base from Cleveland. In the Kyrie 1, Irving averaged 21.7 points, 5.2 assists, and 3.2 rebounds at the age of 22. Retailing for $110 USD, the Kyrie 1 was the most affordable in the line compared to LeBron, KD, and Kobe. In his first game in the shoes, Irving dropped 37 points against the New York Knicks at Madison Square Garden. Nike iD offered 19 base colors and 21 accent colors for fans to create their own masterpieces. Looking to return from a fractured knee cap that kept Irving from winning his first NBA championship, Irving will return in his second signature model. 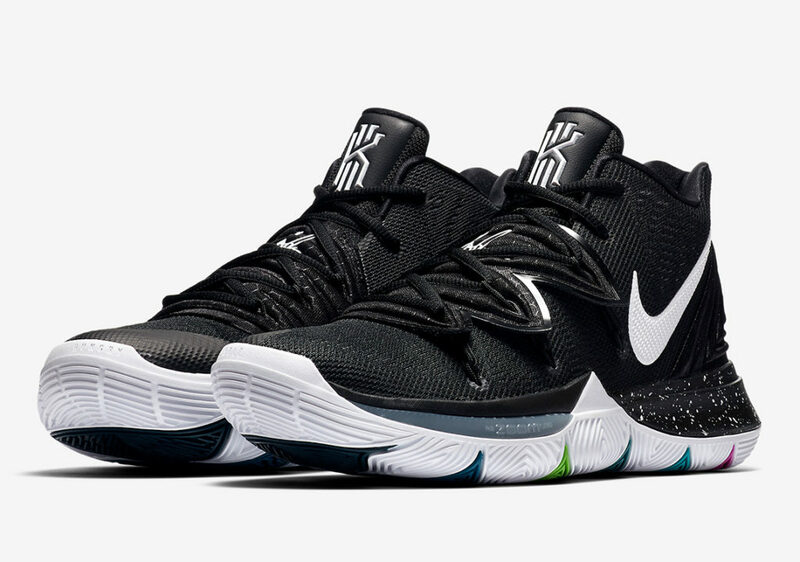 Boasting a midcut silhouette, the Kyries return with a new look. These feature a rounded outsole for the smooth and lateral moves that Irving makes. The heel features Nike’s Zoom Air and the cross strap keeps the foot locked down. The Hyperfuse construction remains just like the first model.